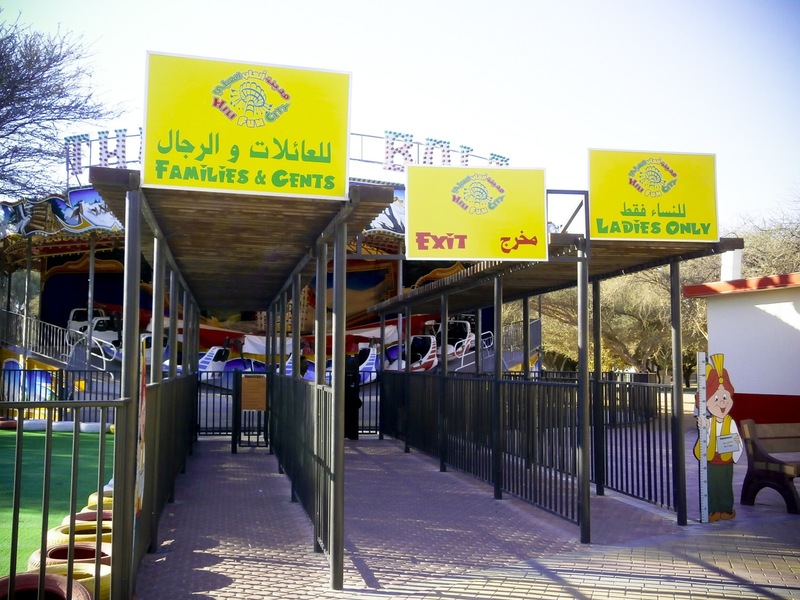 I have purchased a deal from Groupon, a group buying site, for tickets to Hili Fun City in Al Ain. The original price was AED 45 Mondays and Tuesdays and AED 50 Wednesdays to Sundays, including public holidays, for admission to the theme park, but with Groupon, I was able to get two tickets for the price of one, so it was really a good deal. 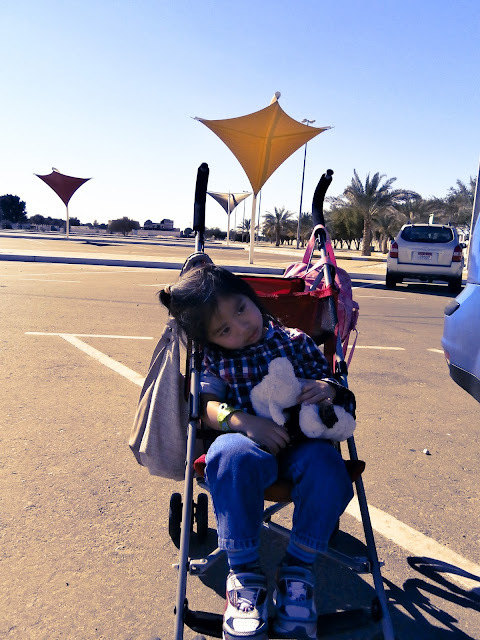 We decided to go last February to avoid the scorching heat of the sun, as it was still winter. 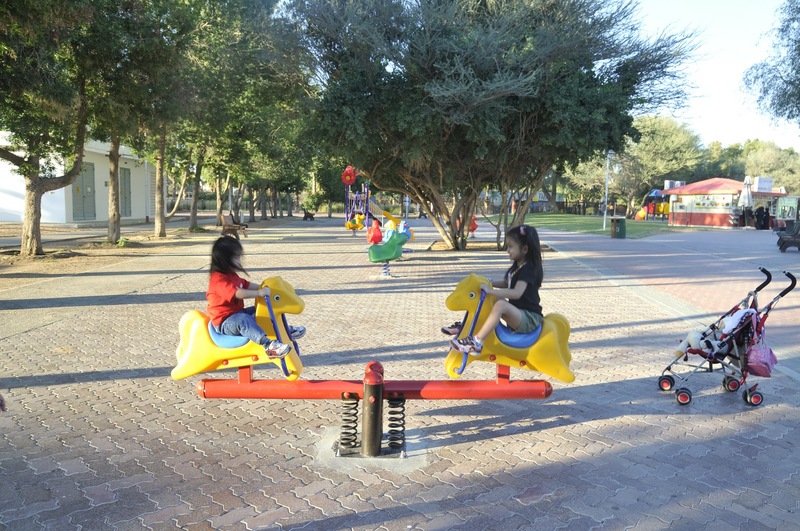 However, we were wrong. 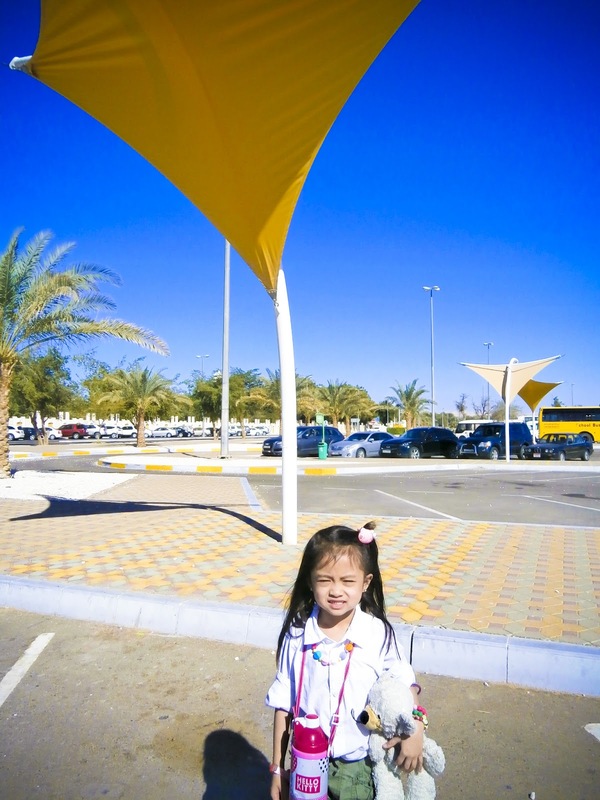 The sun was awful and the heat was unbearable. The theme park is actually a little bit too difficult to find out. 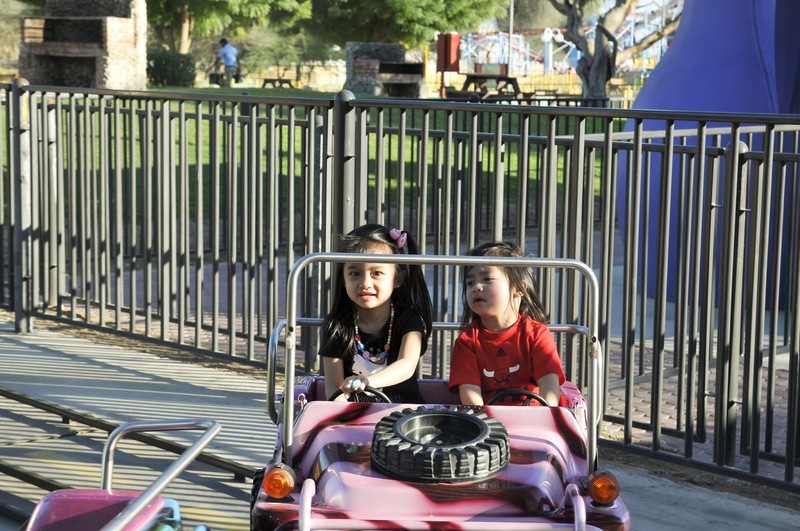 What's worse, our GPS was not working during the time we were searching for it. 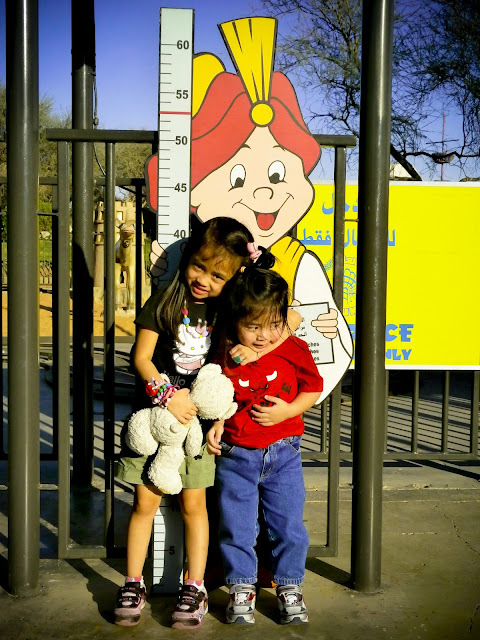 Be also very careful when looking for the street signs as they were too small that one would not be able to read it from a distance. 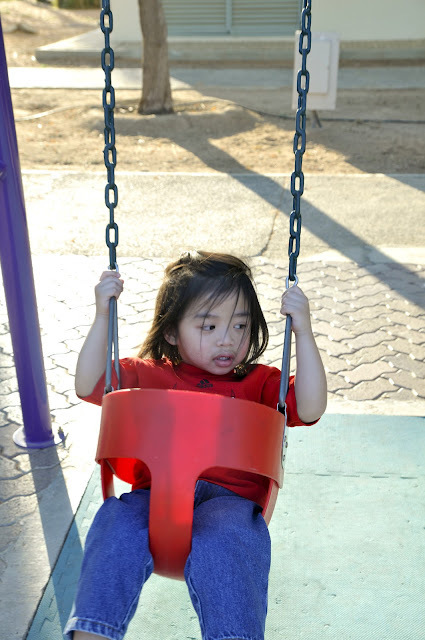 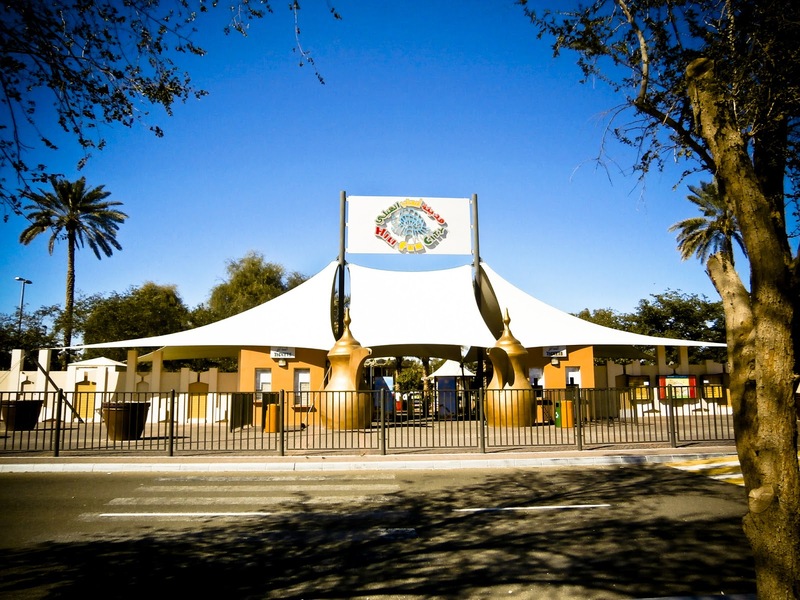 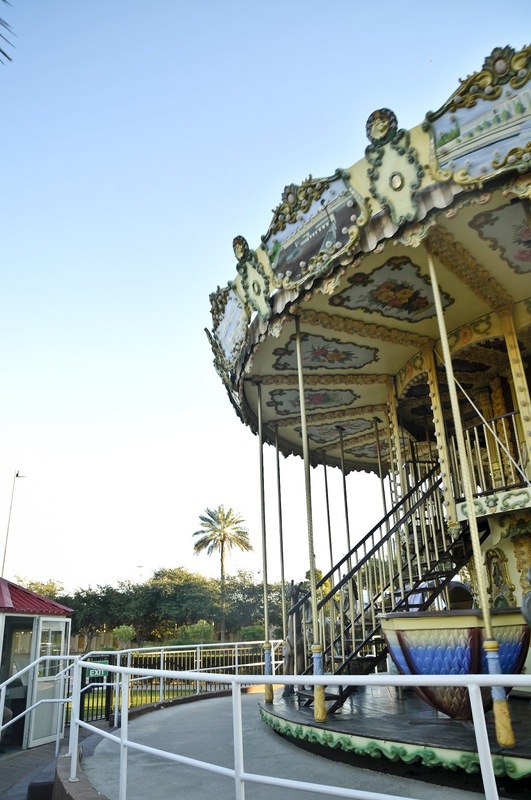 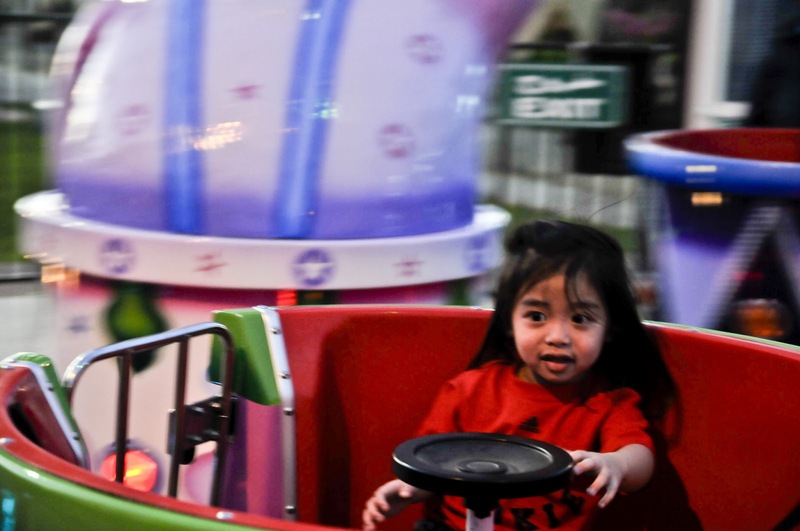 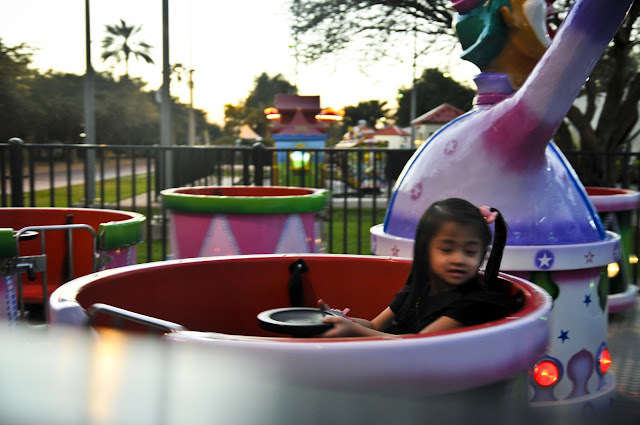 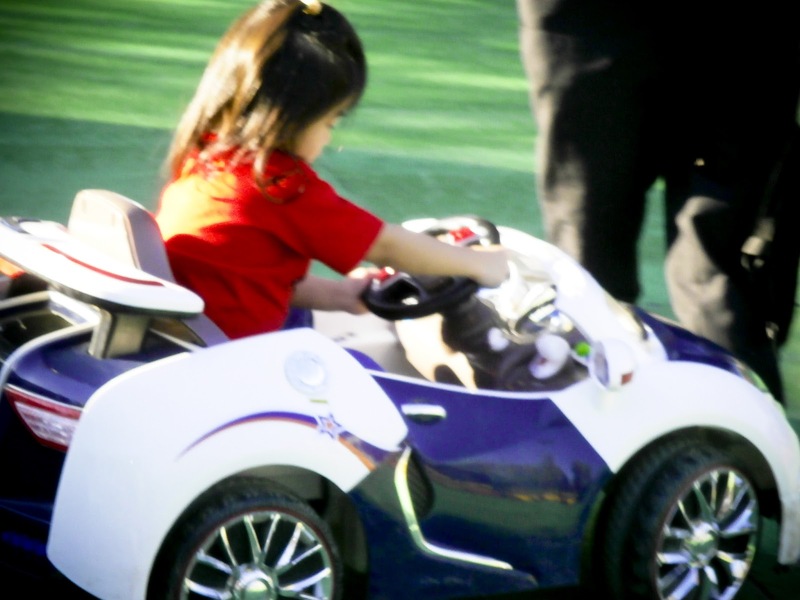 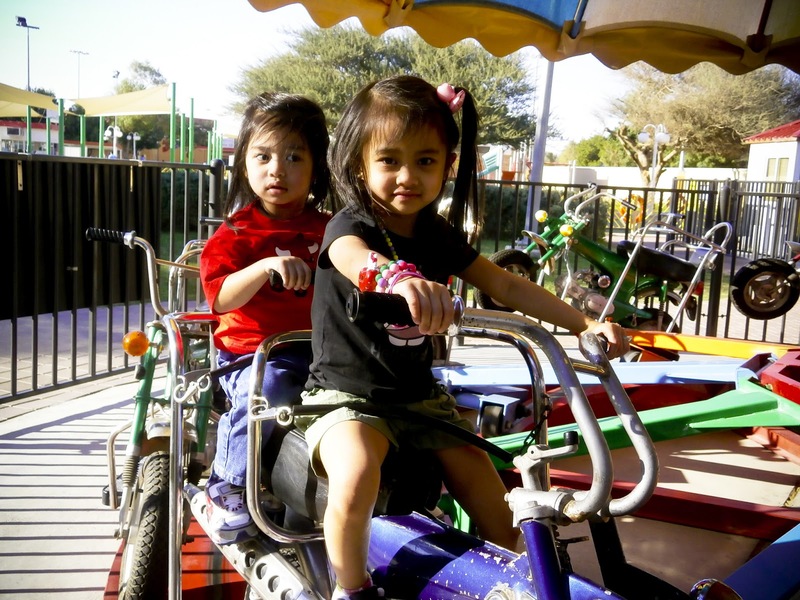 The park consists of rides suitable for kids and adults alike. 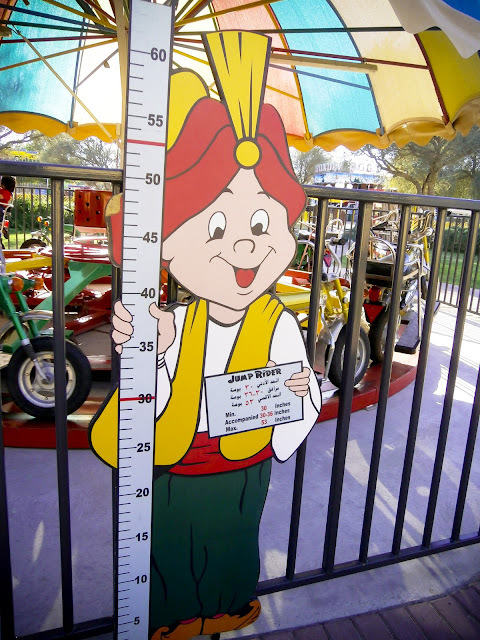 They also have their height indicator that tells you if the ride is suitable for your little ones. They are actually very strict when it comes to height restrictions even if it means that your crying child will not be able to ride on a certain attraction, which is a check for me as they are implementing the "safety first" rule. 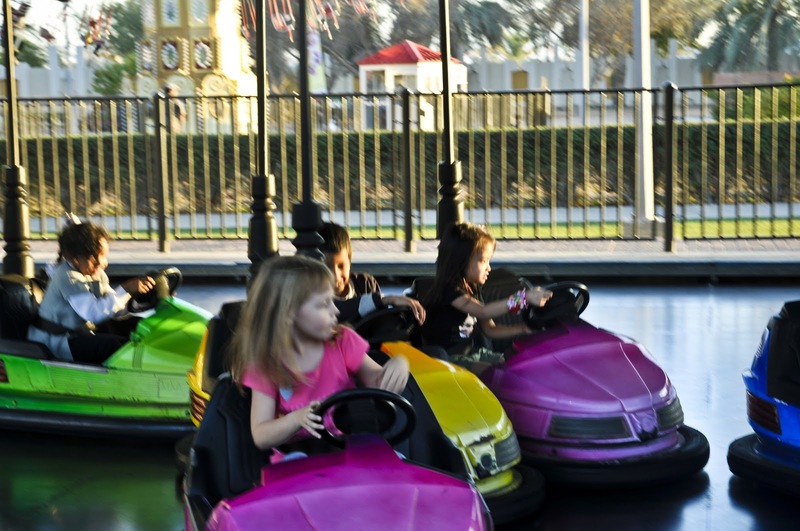 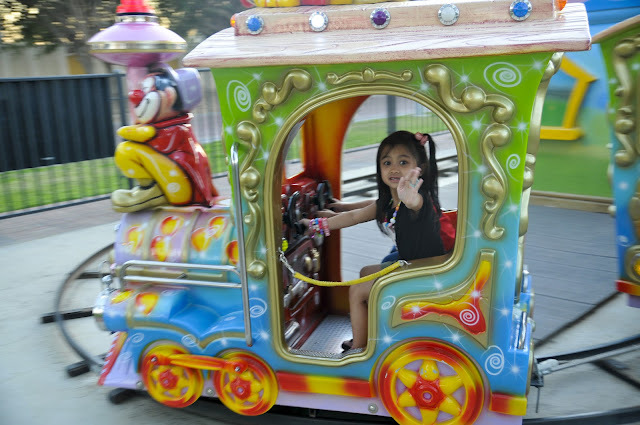 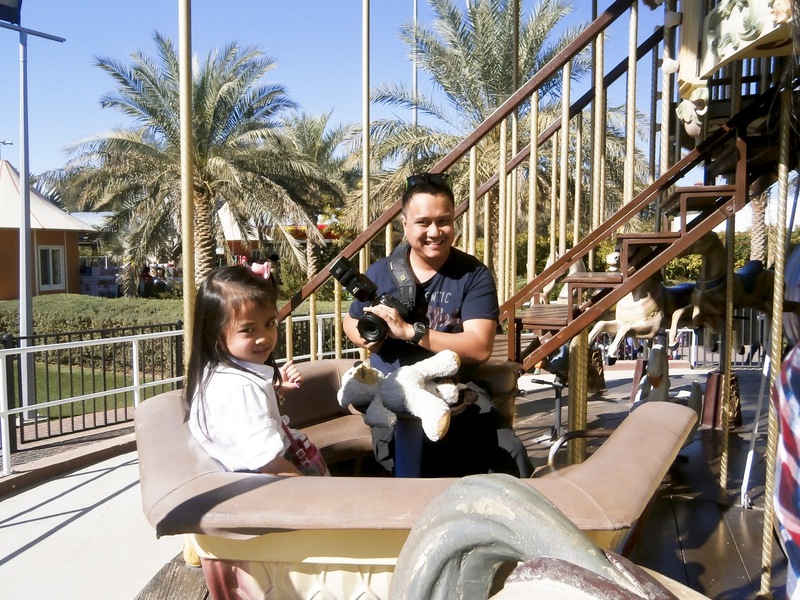 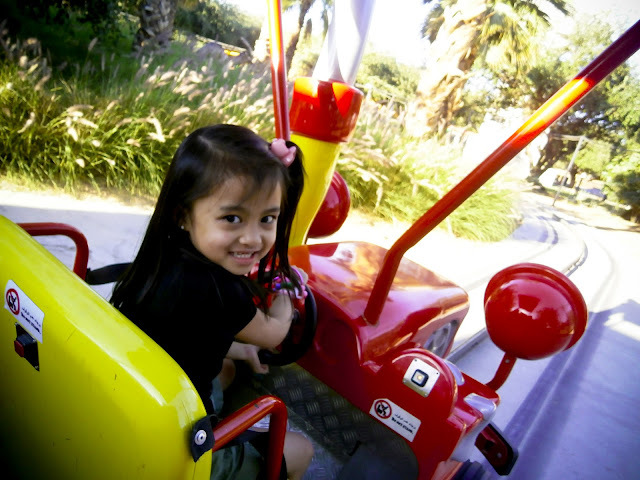 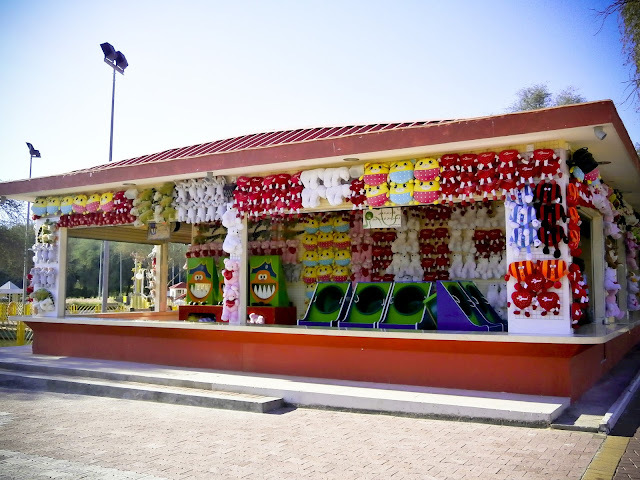 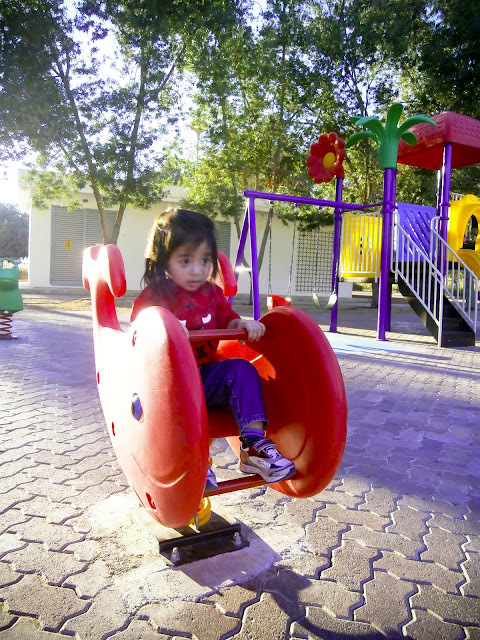 For AED 40, the kids were able to enjoy almost all of the attractions. 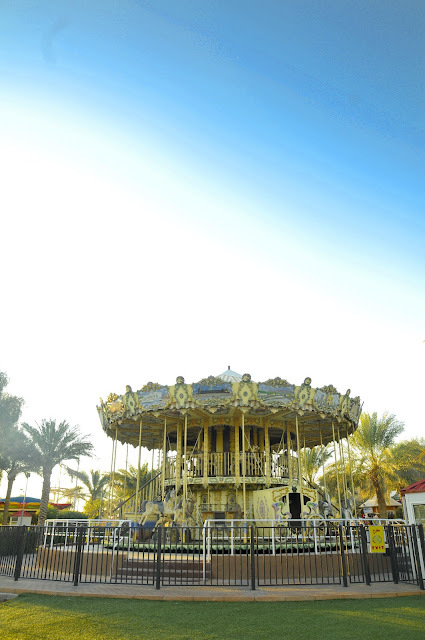 There are certain attractions, which you actually have to pay extra such as the Ice Rink and the Swan Lake. 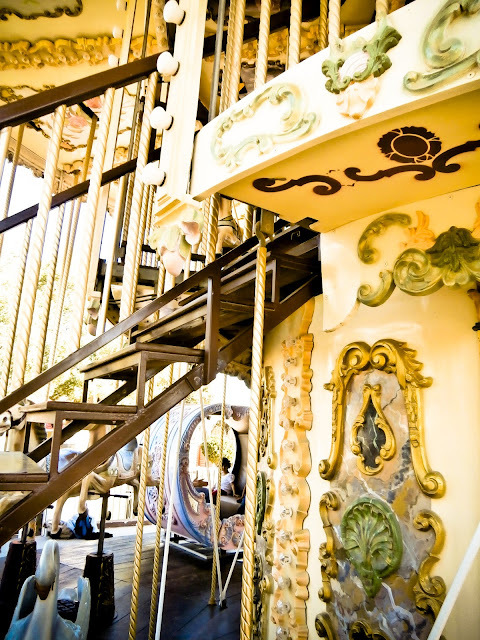 Aside from their attractions, they also have the old school playground for the children to enjoy. 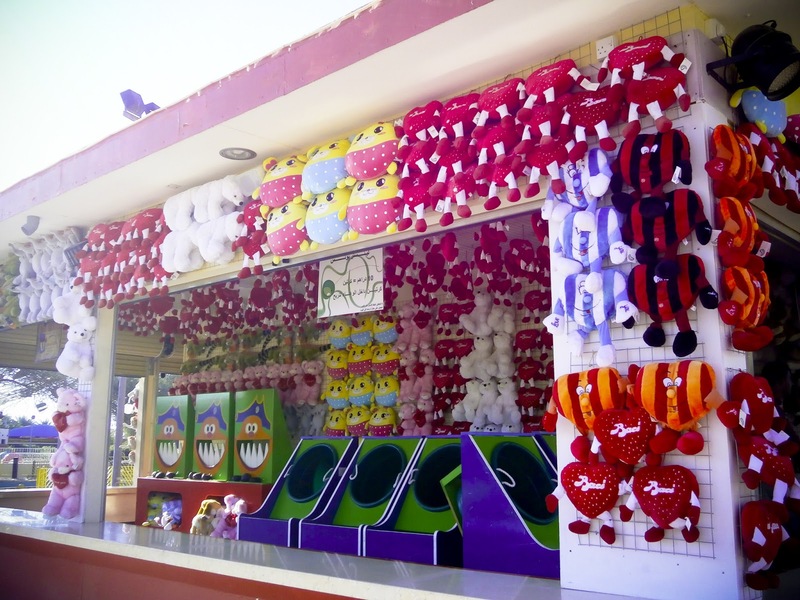 Of course, a theme park won't be complete without those toy booths where you can play and be rewarded (if you're lucky enough) afterwards. Mind you guys, food in almost all theme parks can be pretty pricey. 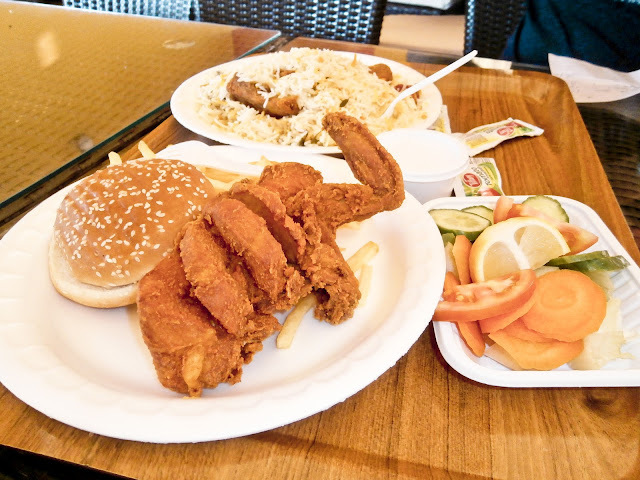 We had to pay AED 30 for two pieces of broasted chicken and a biryani plate, drinks not included. 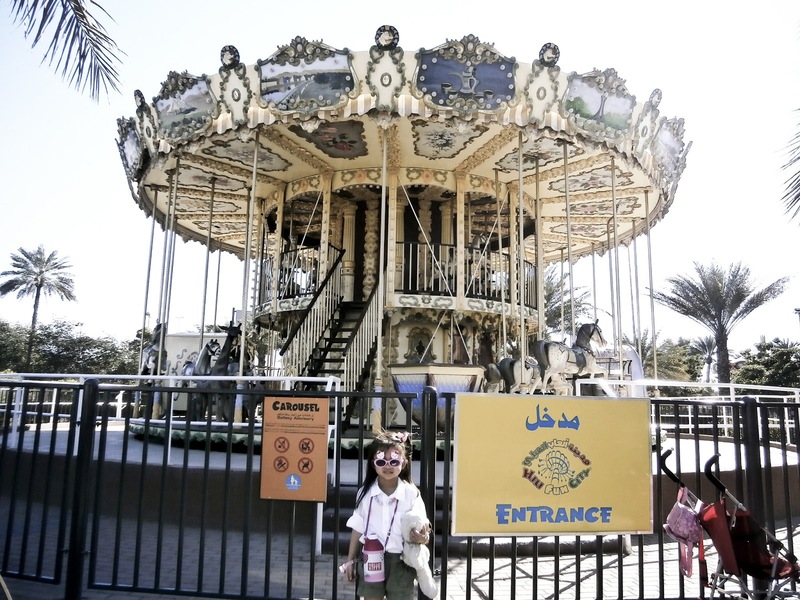 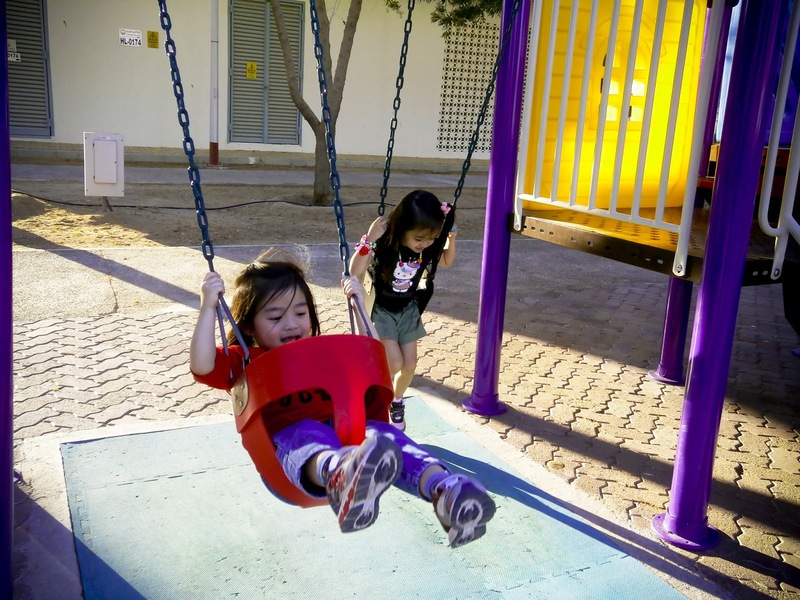 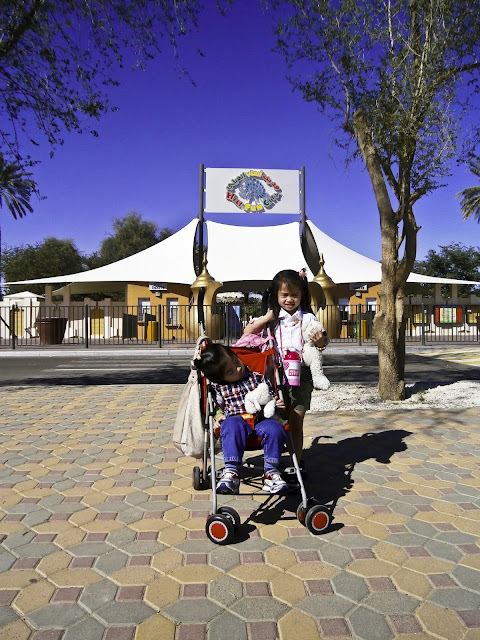 At Hili Fun City, there are barbecue areas, too, which means that you can bring your own food and have a family picnic while enjoying the theme park. 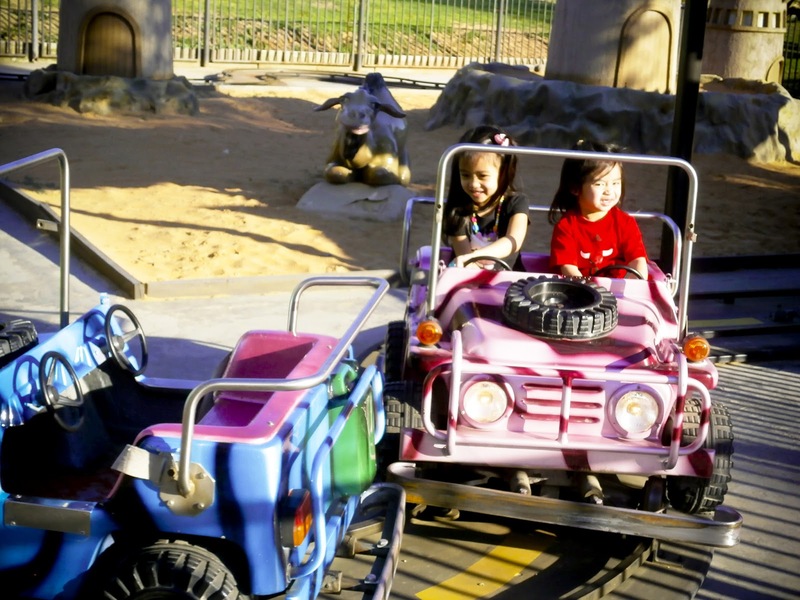 Avoid visiting the park during the summer months. There is not enough shade to hide from the sun. You will be burnt literally if you'll go during the summer. 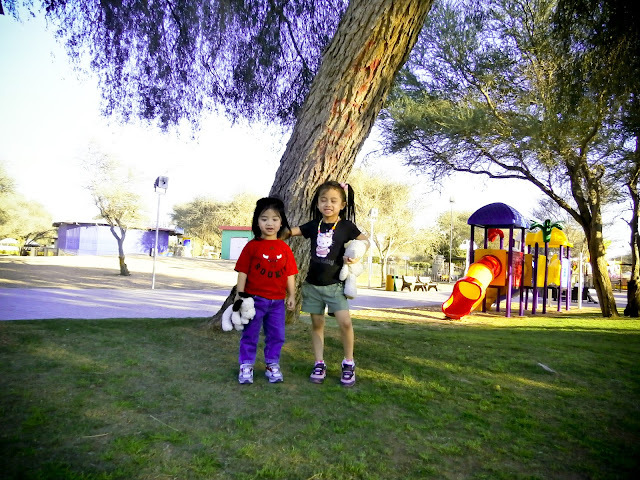 Bring in lots of water. Water is expensive here and you will need to rehydrate yourself every once in a while. Bring in your own food to save some dirhams or better yet, eat first at Al Jimi Mall, which is quite close to the park, before going there. Have your sunblock on hand if you don't wanna get burnt. 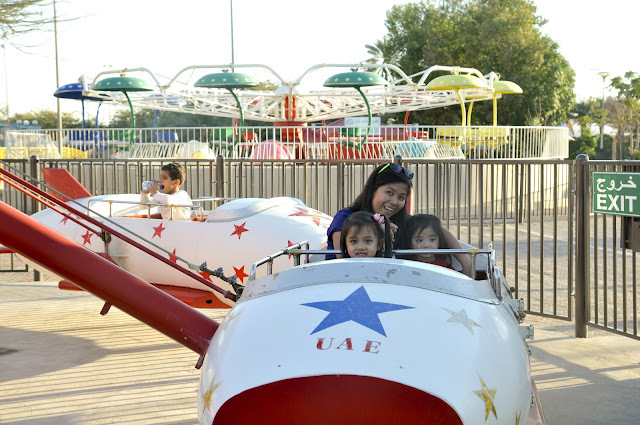 Overall, the whole family had a good time at Hili Fun City. We felt quite privileged enough to be able to visit the so called, Disneyland of the GCC. 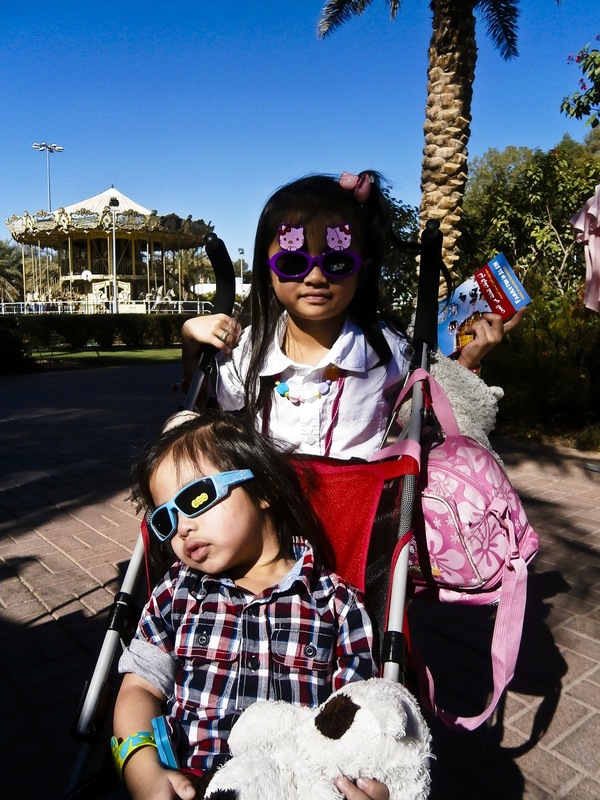 Before I forget, look what we bought - two sunglasses for only AED 5 each. It really was a steal!